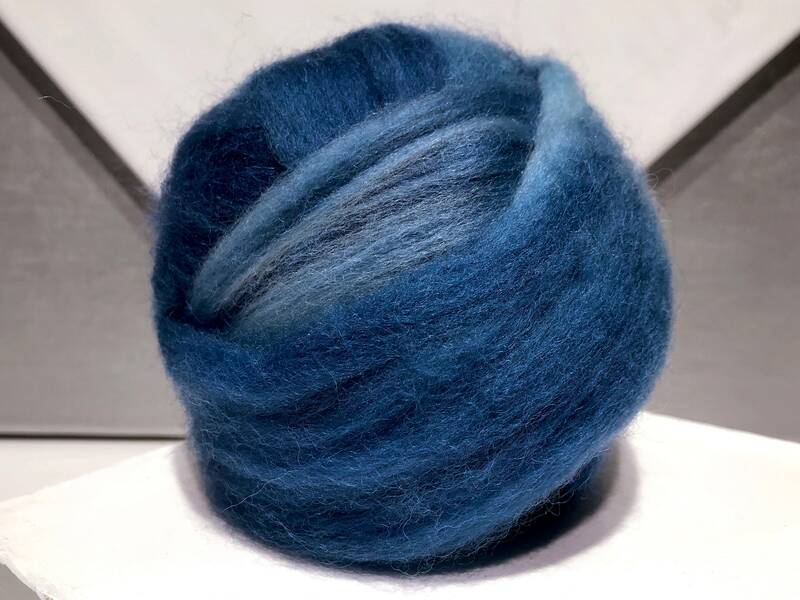 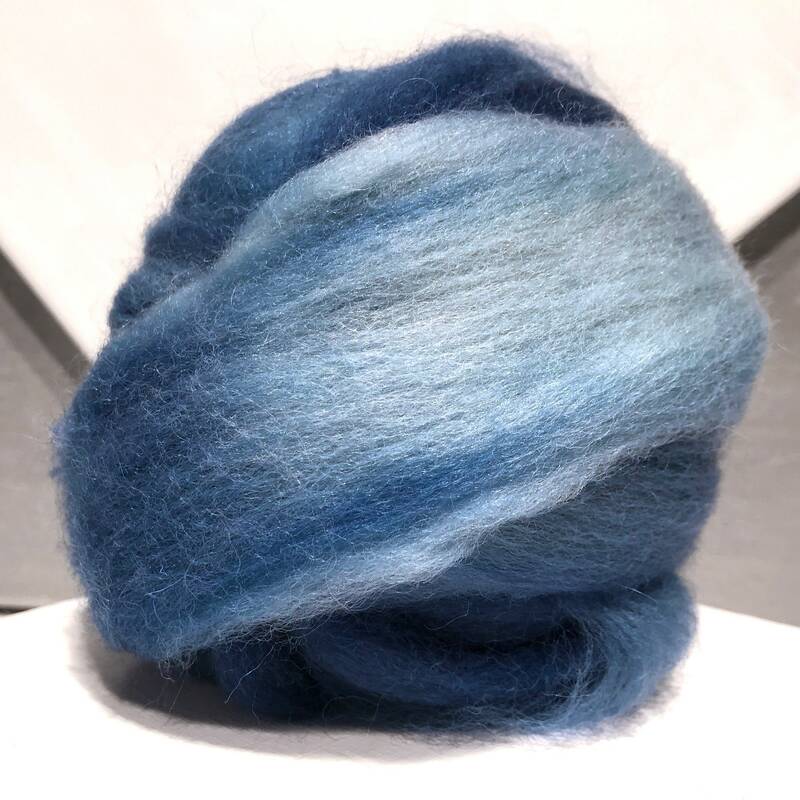 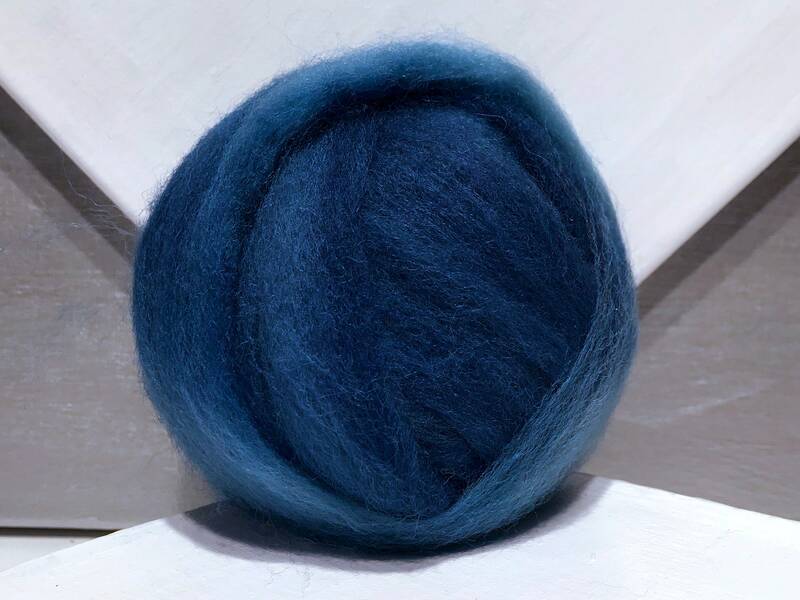 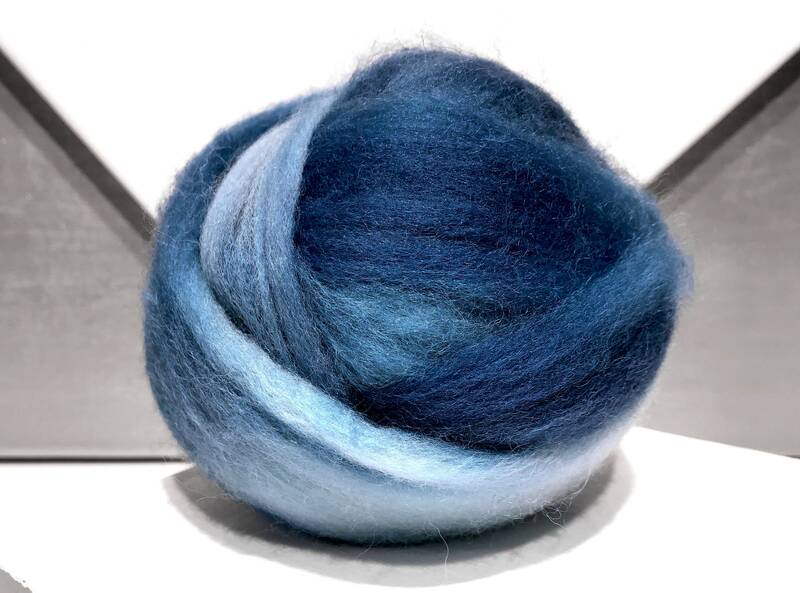 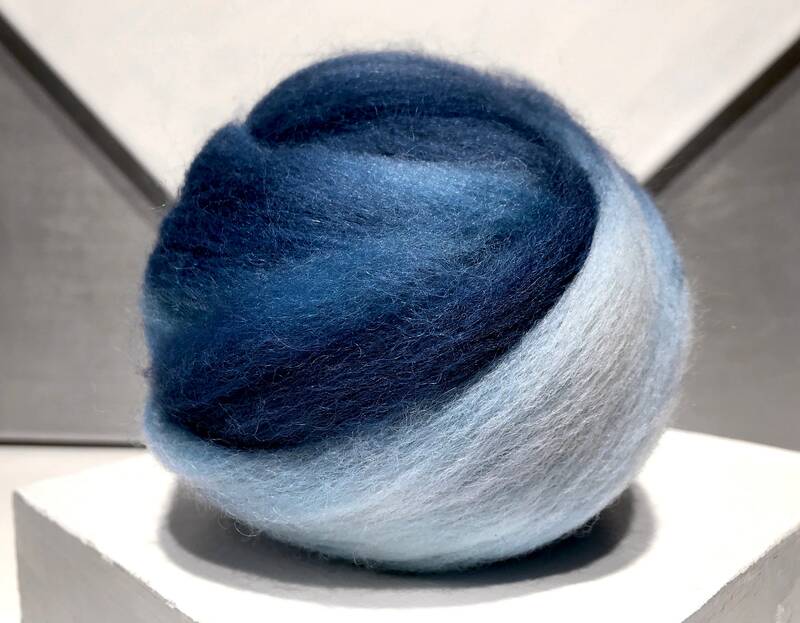 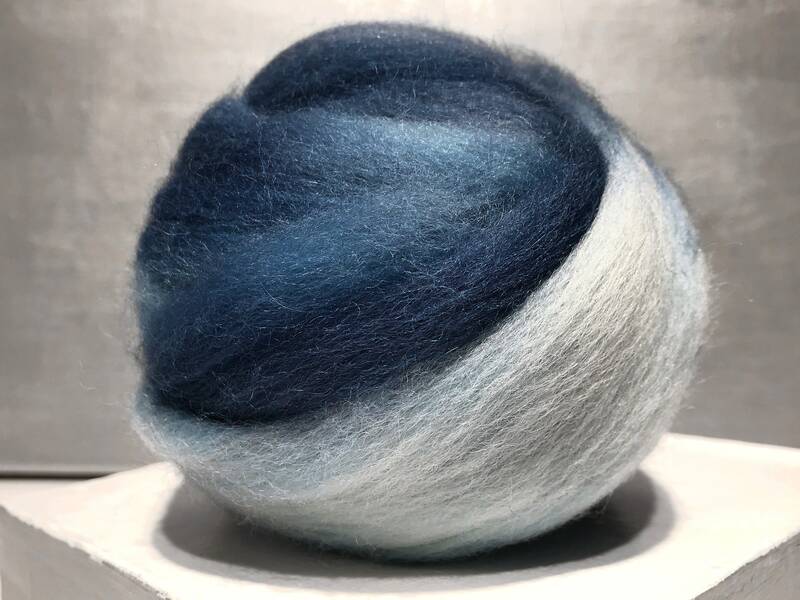 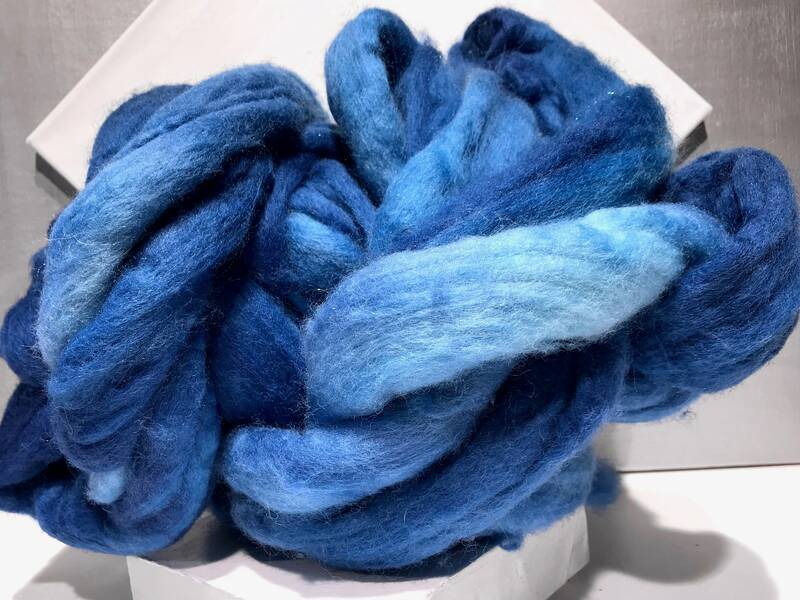 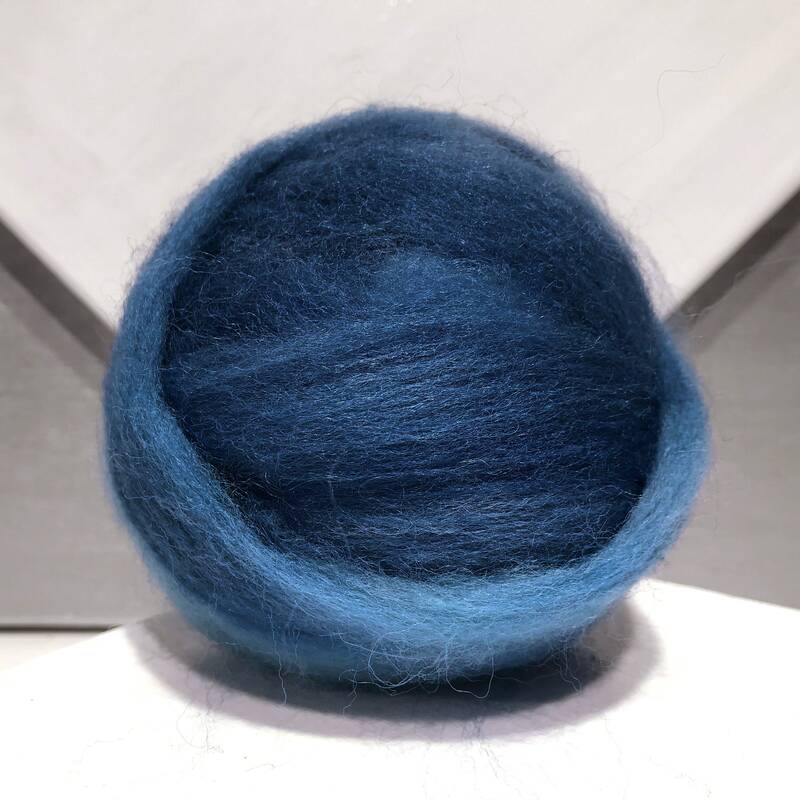 - one ounce of hand dyed, variegated I"Acid wash" Blue Corriedale Cross fiber w 3 free samples*. 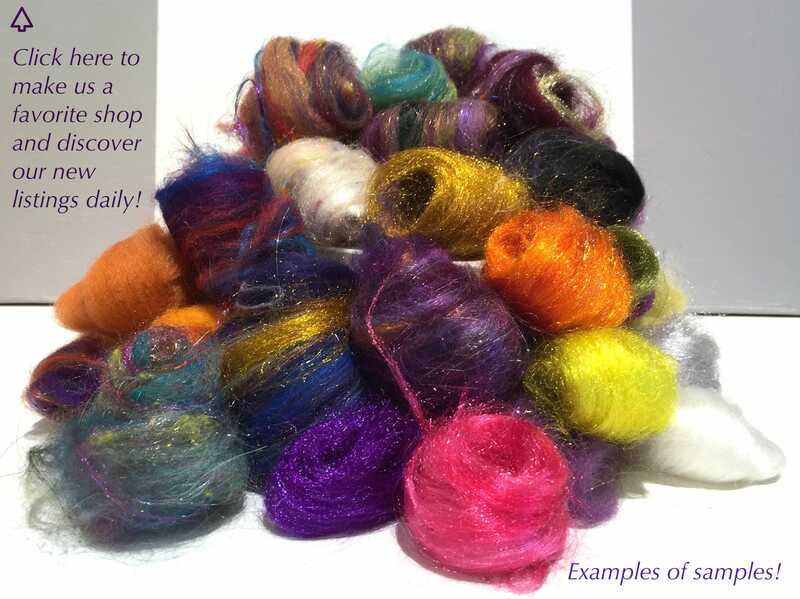 These colors are dyed in small lots at a time and will vary from lot to lot. 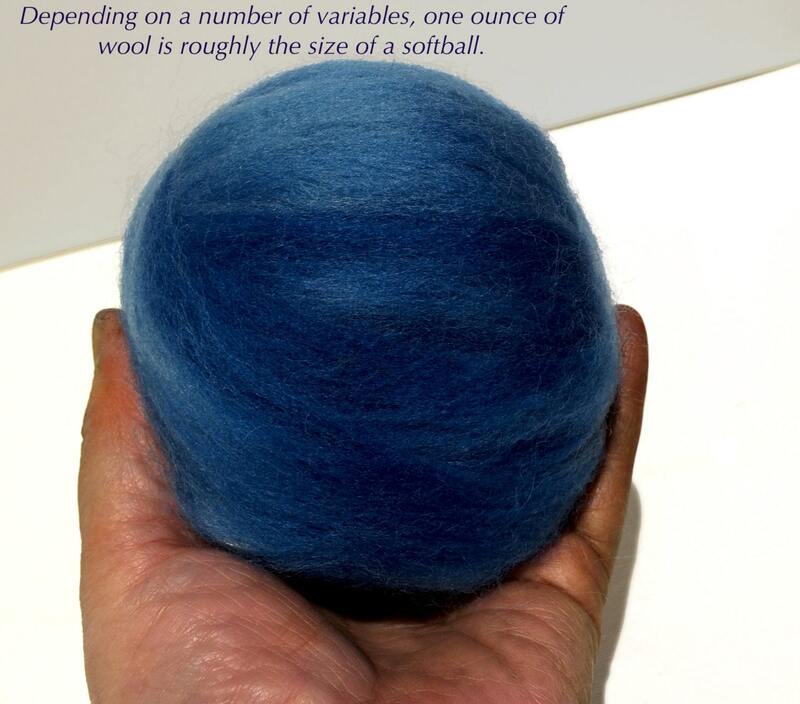 Some variegation also occurs within each ounce.